Parkdale Neighbourhood Land Trust hasn't added a story. Parkdale is rapidly changing. This change is not inherently good or bad, but it raises important questions about affordability, diversity and community assets. You love Parkdale because of its diversity. You love the vibrant local businesses, the fact that it’s home to newcomers, psychiatric survivors, and other marginalized communities, the diversity and richness that comes with being in an urban community. How can you preserve the community you love, foster its growth and protect affordable space for those that need it? The answer is simple: support Parkdale Neighbourhood Land Trust. With your support, the Parkdale Neighbourhood Land Trust purchases and protects land in a community ownership model. Imagine having stable affordable housing, community gardens and green space and affordable space for local non-profit organizations. Together we can preserve the character of Parkdale and protect its residents. Please join us with a contribution to our Preserve and Protect Fund. Our goal is to raise $50,000 that acts as a “down payment” on a property so we can secure it quickly and efficiently, or we risk losing it. The most significant factor in our ability to acquire land is the ability to act quickly. Once the land is secure, we can access other support including government grants and private investment to complete the purchase and develop the property according to PNLT’s needs. But without this Preserve and Protect Fund, we risk losing property, time and again. This has already happened with so many properties that would have been incredible opportunities had we been able to move quickly. Support the Parkdale Neighbourhood Land Trust today. 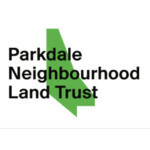 Parkdale Neighbourhood Land Trust hasn't posted any updates yet. Parkdale Neighbourhood Land Trust is managing the funds for this campaign.